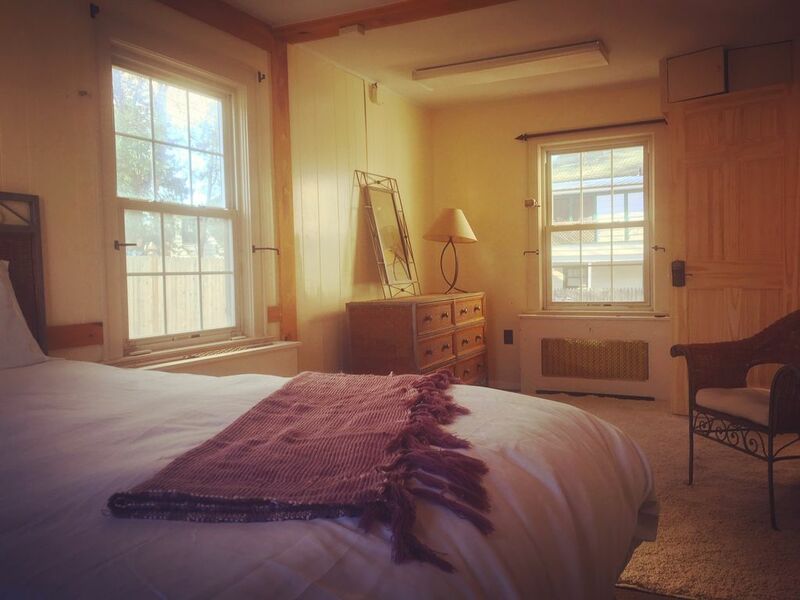 Spacious cottage suite adjacent to the University green, walkable to Burlington s Downtown and the UVM Medical Center. Perfect monthly rental for medical or academic professional. Newly renovated and furnished. Parking spot, laundry facilities, and coffee nook included. Shared use of common room, kitchen, two half bathrooms, and peaceful shower room with two other guests. Host lives upstairs. Please inquire about weekly and monthly discounts. All stays longer than 28 days are subject to additional agreements and a security deposit. The location is unbeatable to be at the University, the Medical Center, or the Downtown within minutes. A dedicated off-street parking space means not having to go downtown late at night or early in the morning for a parking ban due to snow. Within the cottage, this is the largest space of the three available. You have room to relax, stretch, do yoga, and generally spread out! Much of the furniture was sourced in Vermont from local craftspeople. Two code-locked entrances to your suite for convenience and close access to all bathroom facilities. The kitchen is cozy and peaceful, and you have access to important amenities like a commercial Keurig and all-in-one breakfast maker for early mornings. Basement laundry and dryer are free to use and there is room to store larger items. This is ideal for traveling professionals on short stints at the University or Medical Center. The rental comes with a dedicated, off-street parking spot and private room. You have access to all common areas, including the front porch, kitchen, shower room, and two half bathrooms. You also have free use of the laundry and dryer, and storage in the basement can be accommodated. It is a separate entrance and exit from my home upstairs, so you feel like the space is really your own. I will be down often to do light cleaning, restock supplies, and check on folks. I am just a text or knock away if you are missing any key items I can provide or want to chat about the local scene!